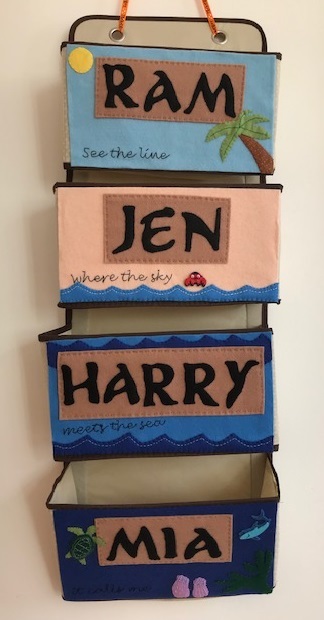 Over on Mini Bookworms it's Mr Men Month, and so to get into the Mr Men spirit I decided to come up with a few themed activities! One thing that I'm struggling with at the moment is finding things to do that entertain both children (Harry is 3 1/2 and Mia is 14 months) so I have divided them into "Baby Asleep" activities and "Baby Awake" activities. These are quiet activities that take place at the table and need my full concentration. Colouring - To start with, I found some great printable colouring pages and games at the official Mr Men website. I'm also a huge fan of Google Images, which provides a vast array of Mr Men colouring pages to choose from. Scissor practice - Several of the images that I found above were a copy of the back of the Mr Men books, a grid of lots of different Mr Men. I cut them into strips and gave them to Harry to snip up. He also had a go at cutting out the individual figures himself. Gluing - I found a plain background in one of Harry's colouring books and we stuck the cut out Mr Men on to it. Matching game - I found a great resource online with instructions to make your own Mr Men, unfortunately no longer available. One of the pages had some good quality images of ten Mr Men and Little Miss characters. I printed this page out twice, cut out the characters and we used them to play a matching game. If you printed them out in good quality colour and laminated them you would have a much more durable game. Puppets - The Mr Men characters are really easy to recreate. 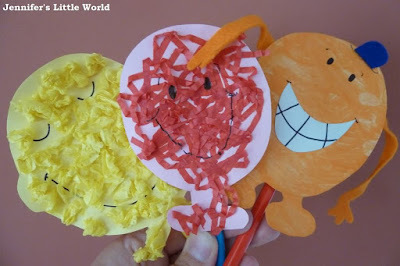 We made some simple puppets using crafty bits from around the house. I tried to use a variety of textures and colours to add interest. These are activities that are not easily messed up, don't involve small pieces, and hopefully also provide a bit of entertainment for a just-walking baby. Mr Men active game - I borrowed this idea from Teaching Ideas. It would probably work better with a group of children, but Harry loved running about pretending to be different Mr Men. 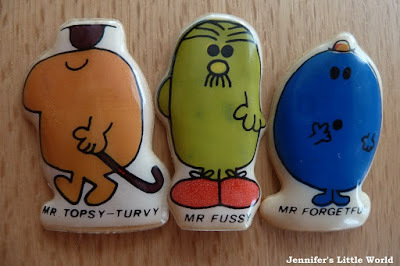 Some good ones to start with - Mr Slow, Mr Rush, Mr Bounce, Mr Small, Mr Tall, Mr Strong, Mr Jelly....you can come up with actions for most of the Mr Men, then just call them out while your child races about! Find the Mr Man - Harry loves hiding games, We took turns in hiding some of the pictures from the matching game above around the house and guiding each other to them using 'hot' and 'cold'. Themed lunch - I often make Harry's lunch into a picture, so I had a fair go at replicating Mr Topsy-Turvy, his favourite character. If I'm honest, it was a bit rubbish (hence no picture!) but he liked it! Reading the books - It wouldn't be much of a Mr Men day without actually reading the books! We built a tent in the living room with a room divider and sheets and snuggled up inside with the books. 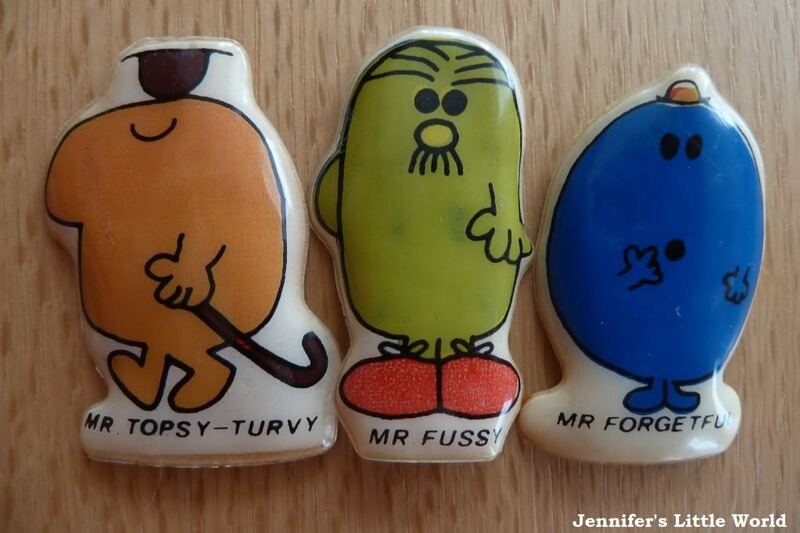 Finally I leave you with a photograph of the only item of Mr Men merchandise that I could find. I love these magnets, they were mine when I was little! They are each about 5cm high, and admittedly not very good as magnets, but still rather cool!